Wireless room sensors are not new. What is new is the way Siemens Building Technologies, Inc., has incorporated reliable, redundant mesh networking technology to ensure its new wireless room temperature sensors are immune to signal interruption. In Nov. 2005, Siemens introduced APOGEE® Wireless, the first wireless building automation system based on mesh topology. With a display that features temperature, setpoint values and occupancy condition, the device will enable the most ambitious, cost and energy-efficient HVAC control schemes. 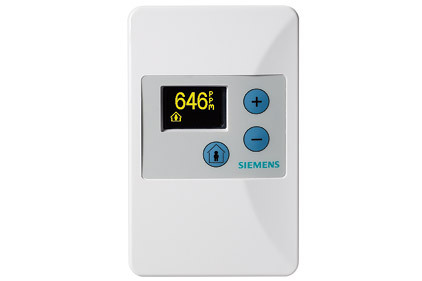 HVAC system designers and contractors can place the wireless sensor in the most optimal location to deliver occupant comfort and control rather than where it is easiest to wire. For more information, please visit the APOGEE Wireless website at www.usa.siemens.com/wireless.